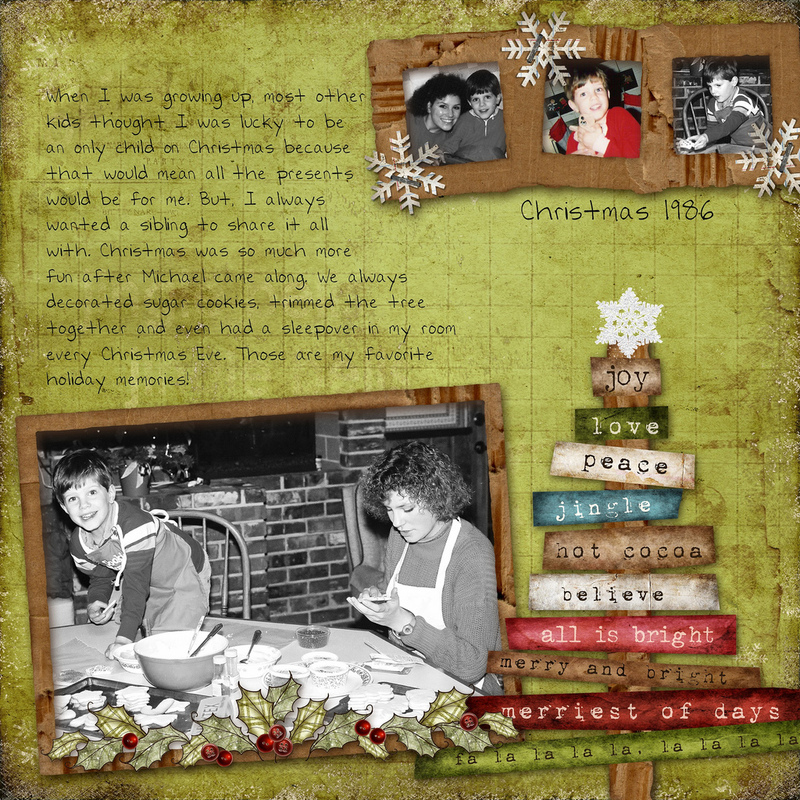 Have you already started working on your Christmas scrapbook pages? If you’re anything like me, you start "researching" and collecting all the memorabilia early, but the pages themselves don’t actually get finished until weeks — if not months — after the holiday. Right? Sometimes, the best motivation for a scrapbook page layout for me is something as simple as a page title. That alone, can lead to ideas which start running through my mind: "Ooh! I need to take pictures of this!" or "Oh, I need to remember to do that on Christmas Day." You get the idea. Keep in mind, I don’t just use these types of "fun phrases" as headlines for my scrapbook layouts. All I Want For Christmas Is Toys, Toys, Toys! Christmas Is A "Claus" For Celebraton! Swim, Hike, Fish, Bike, Putt, Surf, Soar, Bask, Sail, Shop, Ski, Row, Ride, Eat, Drink, And Be Merry! Warm Wishes For A Loving, Caring, And Sharing Christmas For All!